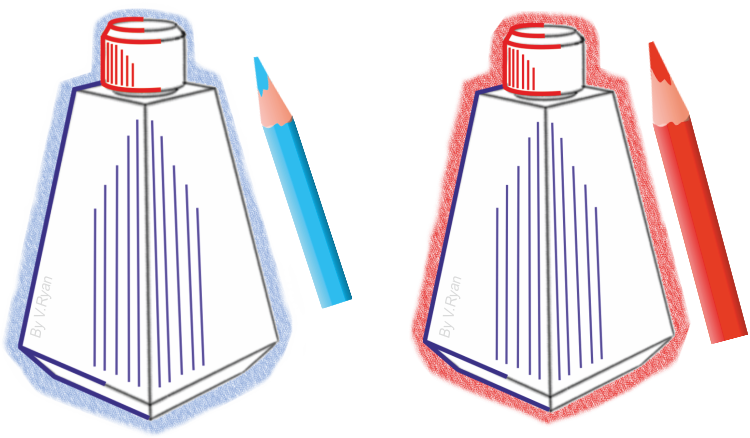 Coloured pencils can be used to create a shaded background. However, compared to a broad felt pen, the background is usually fainter and certainly not as bold. The advantage of using coloured pencils, is that unlike felt pen ink that usually ‘soaks’ through to the reverse side of the paper, coloured pencil shade stays on the surface of the paper. This is why felt pens cannot be used in examinations, although they are good for folder work. The two drawings below, have backgrounds produced by shading carefully with coloured pencils. Another advantage of using coloured pencils, is that different shades of the same colour can be applied, dependent on the pressure applied to the pencil.